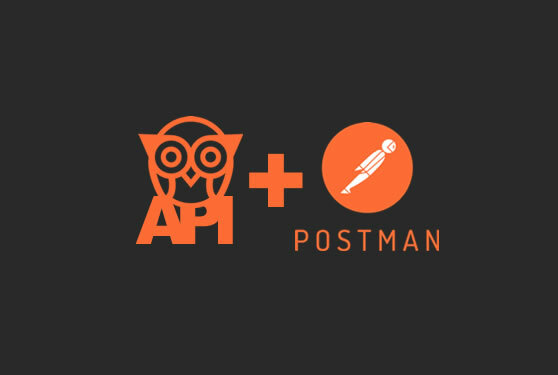 Postman is an application that allows you to quickly send test requests to an API by sending HTTP requests to the different endpoints available. It is a useful tool for getting started with the Hiboutik API. 2. Retrieve your Hiboutik API credentials in “Settings/Users/API” on your Hiboutik account. 3. 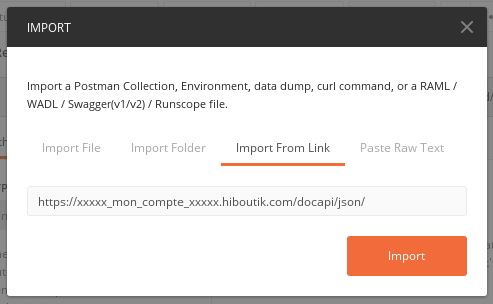 On Postman, go to “File” then “Import” and select “Import from link”. Enter the direct link to your Hiboutik JSON API file (you will find it in “Settings/Users/API”). 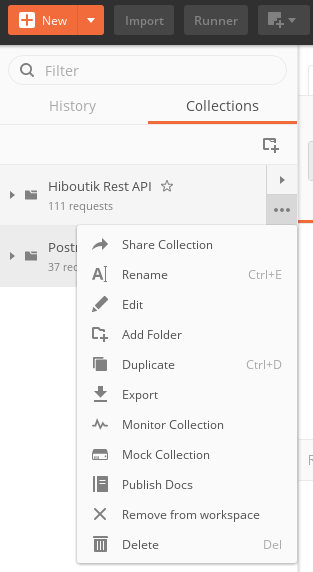 4.Once the import is completed, a new Collection “Hiboutik Rest API” is displayed in the left side of the application. At the bottom right of the Collection name, click on the three dots icon to Edit the collection, and select the “Authorization” tab. Select “Basic Auth” in the drop-down menu and enter in the right side your Hiboutik API credentials. In the left menu of the Collection, select the Customers file and the “POST Create a new customer” endpoint. In the right side, go to the Body section and fulfill the form. Then Send the request. The new customer is created and its ID is displayed in the Body of the response. Requests can be formatted in application/json or application/x-www-form-urlencoded. With Postman we highly recommend to use the x-www-form-urlencoded because the parameters’names are already fulfilled in the Body section. This entry was posted in MISC and tagged postman.